Copyright © 2005 Wonders of Wetlands. This image is not available for reuse and is protected by copyright. 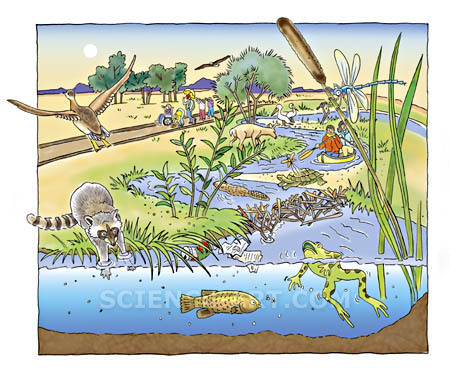 Marjorie Leggitt Description"Wonders of Wetlands" activity page in Discover the Waters of Nevada activity booklet. (Grades 3-7) published by Project Wet International. Illustration created traditionally with color added in Photoshop.